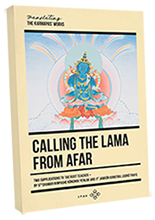 The Spiritual Biography of Dharma Master Deshyin Shekpa, The Wish-fulfilling "Seven-petalled (Tree)"
Spiritual biography of the 5th Karmapa. The Tibetan name of the plant 'dab ma bdun pa is SaptaparNa in Sanskrit and may refer to "Alstonia scholaris"
Spiritual biography of the 5th Karmapa. Avalokiteshvara Jinasagara empowerment based on torma. 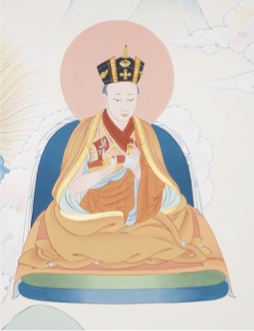 Three stages (approaching, accomplishing and action) connected to the practice of Mahakala Bernakchen. Summarised Mahakala empowerment from Marpa and Drogon Rechen.